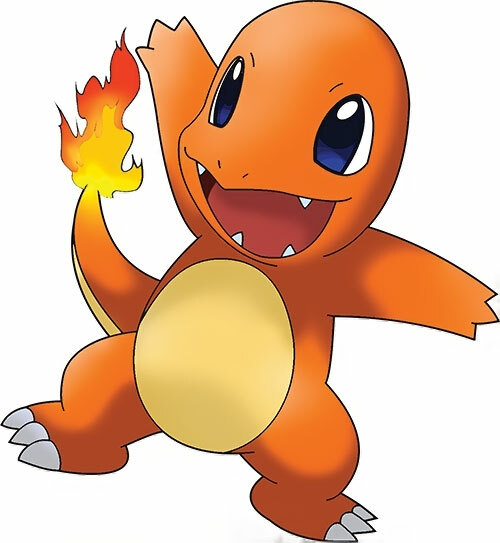 Charmander is a fire Pokémon. He evolves into Charmeleon, then into Charizard. Base Of Operations: N/A (Pokeball?). Height: 2’ Weight: 18.5 lbs. Charmander is a lizard-like Pokemon who feels comfortable in a hot environment. He can project fire from his tail tip, that holds the fire of his life. If that flame was extinguished, Charmander would die. He’s a versatile Pokemon, although in this stage of his life he’s not too powerful. But his potential to become the mighty Charizard makes him one of the most chosen Pokemons for trainers. It looks like a puffy mini version of a dinosaur, with cute looks, big eyes and small but pointy claws on his feet. He has four little fingers in each of his two hands. Charmander is very loyal to his master, even if he treats him badly. He will try to obey him and help him in any way he can. Introducing the Pokemons in the DC Universe will not be any problem, as they are. A new kind of PC or NPC could be a Pokemon trainer, who could have been built as a normal human with 2-4 Pet Advantages involving the Pokemons he begins with (even 1: most trainers begin with just one basic Pokemon). Flame Project has a Serious Power Burnout (-2) ; Shrinking is Always On (and already noted on OV) (-1) (Character’s STR and weight APs are reduced by APs (-2)). Attack Vulnerability (Water Pokemons, -2 cs), Fatal Vulnerability (Common, Having extinguished the fire on the tip of his tail). 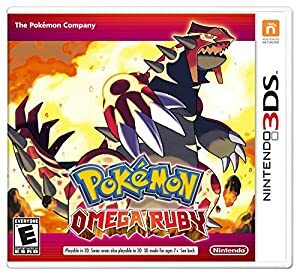 It can be considered a Genre rule, but it should be used on any genre Pokemons appeared: there is a new kind of damage, to add to Bashing and Killing damage. We call it Pokemon damage: when Pokemons fight (or they attack other beings) they can choose to do it so in Bashing or Killing combat (although the later is very rare). But they can also do it in the way most Pokemon combats are resolved : with Pokemon damage. When damage is done to the opponent that would (if it was Killing Combat) reduce his current condition to 0 or less, instead the character stays at Current Condition: 1 and is stunned for as many rounds as APs under 1 he would be : per example, Charmander is at BODY: 1 and suffers 4 APs of Pokemon Damage. He would then be stunned for 4 rounds. On a regular basis, that means losing the combat if it was a Pokemon fight. Source of Character: Pokemon TV series and trading cards game.